On 18 November 2015, Friedrichstadt-Palast Berlin inaugurated the memorial at Friedrichstraße 107 dedicated to the theater’s founders, Max Reinhardt, Hans Poelzig and Erik Charell. Permanent Secretary for Cultural Affairs at that time, Tim Renner; President of the Franz Liszt University of Music in Weimar, Prof. Dr. Christoph Stölzl; the two artists Cisca Bogman and Oliver Störmer (stoebo); and the nephew of the expressionist architect honoured, Peter A. Poelzig, were among those present at the unveiling ceremony. The history of the Friedrichstadt-Palast Berlin began on 28 November 1919 with opening of the Großes Schauspielhaus theater. This Berlin venue owes its international acclaim to three outstanding artists, namely Max Reinhardt, Hans Poelzig and Erik Charell. Reinhardt was the most visionary impresario and theater owner of his time. Poelzig was an influential architect responsible for designing a number of the capital’s landmark buildings, such as the Haus des Rundfunks broadcasting house. Charell conceived the grand revue shows of the ‘Golden Twenties’ in Berlin, discovered Marlene Dietrich and the Comedian Harmonists, and created the operetta Im Weißen Rössl (The White Horse Inn) that was a global hit. From 1933, the National Socialists barred all three from working in Germany. Their Jewish ancestry led Reinhardt and Charell to go into exile; as a homosexual and a Jew, Charell was particularly at risk. Poelzig was increasingly subject to reprisals due to his expressionist (“degenerate”) architecture. On 18 January 1934, the theater was renamed the Theater des Volkes (Theater of the People), becoming a National Socialist propaganda theater. The theater gained its present-day name of “Friedrichstadt-Palast” on 1 November 1947. The memorial was designed by ‘stoebo – Bogman & Störmer’. Dutch media artist, Cisca Bogman, also works as a painter and graphic designer; Oliver Störmer is an artist, sculptor and art lecturer. The negative cavity in the cuboid in cast concrete represents the imaginary beam of a theater spotlight. On the ground, the beam’s intended projection extends into the pathway as an ellipse in dark, polished asphalt with a glitter effect. The spotlight beam, which results solely from its negative circumscription, remains immaterial. As a universal symbol for the world of theater and revue, it creates a link between times past and present, and draws attention to the absence of the three protagonists. Beside the memorial is a pillar featuring the texts on the Großes Schauspielhaus, Max Reinhardt, Hans Poelzig and Erik Charell shown below. Max Reinhardt, Hans Poelzig and Erik Charell. From 1933, the National Socialists barred all three from working in Germany. Their Jewish ancestry led Reinhardt and Charell to go into exile; as a homosexual and a Jew, Charell was particularly at risk. The dark years in German history that followed brought an end to their flourishing careers on this and other stages in Hitler’s Third Reich. This memorial is dedicated to these three artists. 1918 Max Reinhardt commissions the conversion of Circus Schumann located between Schiffbauerdamm and the present-day Reinhardtstraße into the most modern theater in Europe with 3,200 seats. With his expressionist design, architect Hans Poelzig successfully creates an architectural icon, which becomes renowned for its resemblance to a dripstone cave. 1919 The Großes Schauspielhaus opens on 28 November with Max Reinhardt’s mass staging of Aeschylus’ Oresteia. 1924 With its relaunch as an entertainment theater, the new theater director Erik Charell brings the glamour of the major Broadway shows to Berlin, injecting them with intelligent wit to create a typically Berlin revue style. 1933 The National Socialists expropriate the theater, rename it the Theater des Volkes (Theater of the People) and place it under the control of the Reich Ministry of Public Enlightenment and Propaganda. All Jewish artists and employees are dismissed. Poelzig’s previously revered “dripstone cave” is denounced as “degenerate” architecture and the theater’s interiors are refurbished or simply concealed in 1938. 1945 The theater is reopened shortly after the end of the Second World War. 1947 The theater is renamed the Friedrichstadt-Palast on 1 November and becomes a central entertainment theater in East Germany. 1980 The old theater building has to be closed and demolished due to subsidence. 1984 The Friedrichstadt-Palast is replaced with a new building in a socialist postmodern style that opened on the present-day site on 27 April. It is today considered one of the largest and most modern entertainment theaters in Europe. 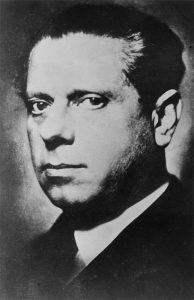 Max Reinhardt’s unique theater career is closely linked with Berlin. From 1894, he performed at the Deutsches Theater, becoming the establishment’s manager in 1905. Classical pieces were transformed into fantastical, sensual works of art for the first time under his direction. Admired by his contemporaries as a “theater wizard”, he was a pioneer of modern theater. Reinhardt established numerous theaters in Berlin as well as Germany’s first drama school. With opening of the Großes Schauspielhaus in 1919, he realised his dream of a permanent arena stage for mass audiences. With handover of the theater to Erik Charell in 1924, Reinhardt shifted his work focus to Austria where he had helped establish the Salzburg Festival in 1920. When the National Socialists came to power in 1933, Max Reinhardt’s Jewish ancestry meant his Berlin stages were expropriated. To evade persecution, he left Germany for good, spending time in Austria before its annexation led him to emigrate to the USA in 1938. He died in New York in 1943. Erik Charell first became acquainted with the glamorous Broadway shows as Max Reinhardt’s assistant. 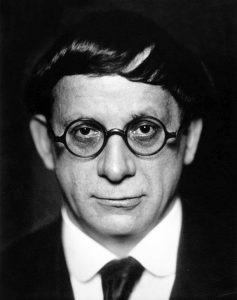 In 1924, he assumed the role of artistic director at the Großes Schauspielhaus and acquired the title of “revue king” with a string of highly-acclaimed productions. 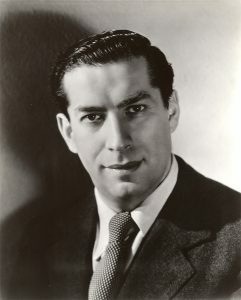 He engaged entertainers such as Claire Waldoff, future world stars of the likes of Marlene Dietrich, and discovered the Comedian Harmonists music ensemble. Charell was also the first to bring the legendary chorus line to a Berlin stage and enjoyed sensational success at the Großes Schauspielhaus in 1930 with the premiere of the revue operetta Im Weißen Rössl (The White Horse Inn). In 1931, Charell began working for Universum Film AG (UFA) and directed the successful musical comedy film Der Kongreß tanzt (The Congress Dances). Erik Charell was of Jewish descent and homosexual. When the Nazi Party came to power, UFA terminated all contracts with him. Recognising the danger early on, Charell left Germany in 1932 and spent time in London and Paris before emigrating to the USA. After the war, Charell returned to Germany and celebrated his comeback in Munich in 1950 with the operetta Feuerwerk (Firework) and revival of Im Weißen Rössl (The White Horse Inn). He was conferred an honorary prize for his lifetime achievements at the German Film Awards in 1969. From 1919 to 1921, Hans Poelzig was head of the German Association of Craftsmen (Deutscher Werkbund). With refurbishment of the Großes Schauspielhaus in 1918/19, Hans Poelzig successfully established his European reputation. To enhance the acoustics in his famous “Tropfsteinhöhle” (“dripstone cave”), he had the theater hall’s domed ceiling decorated with thousands of ornate muqarnas resembling stalactites. Poelzig was decisive to the spread of modern architecture in Germany. He designed prominent buildings in the New Objectivity style, such as the Haus des Rundfunks broadcasting house in Berlin and the headquarters of the IG Farben chemical conglomerate in Frankfurt/Main. As Vice President of the Prussian Academy of Arts and Head of the State Art School in Berlin, he was at the peak of his career at the start of 1933. Sadly, the National Socialists removed him as a representative of modern architecture in April of that year. Deprived of work in Germany, Poelzig resolved to accept a professorship in Turkey in 1936, but passed away shortly before emigrating.